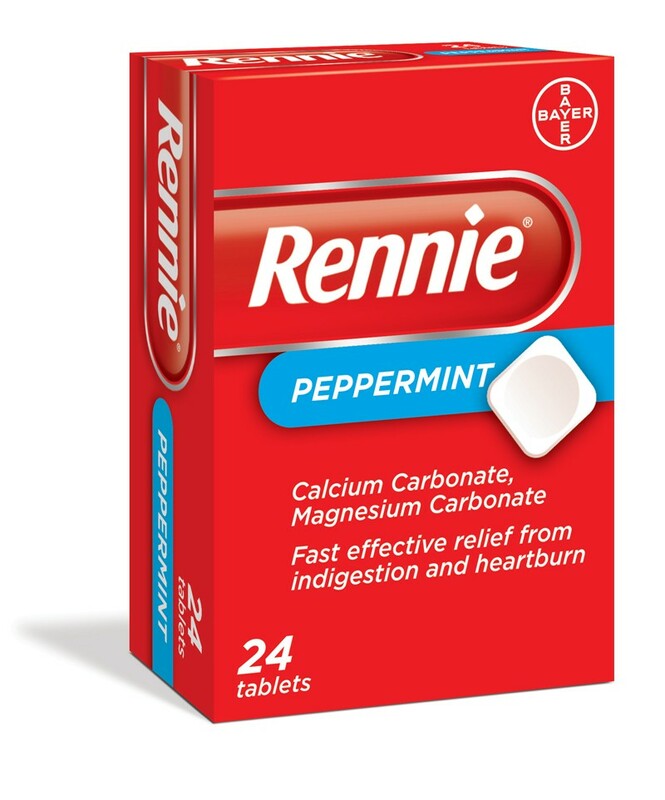 Rennie Peppermint is an antacid tablet that relieves indigestion heartburn acid indigestion dyspepsia hyperacidity nervous indigestion flatulence and upset stomach. It relieves the indigestion of pregnancy and overindulgence in food and drink. It works fast to neutralise the acid and relieve the discomfort. Each tablet contains Calcium Carbonate 680mg, Heavy Magnesium Carbonate 80mg. Adults- Two Tablets to be sucked or chewed as required, up to a maximum of 16 tablets a day. Children 6-12 years- One tablet as required, up to a maximum of 8 Tablets a day. Children under 6 years- not recommended.